Explanation: What happens when two of the largest objects in the universe collide? 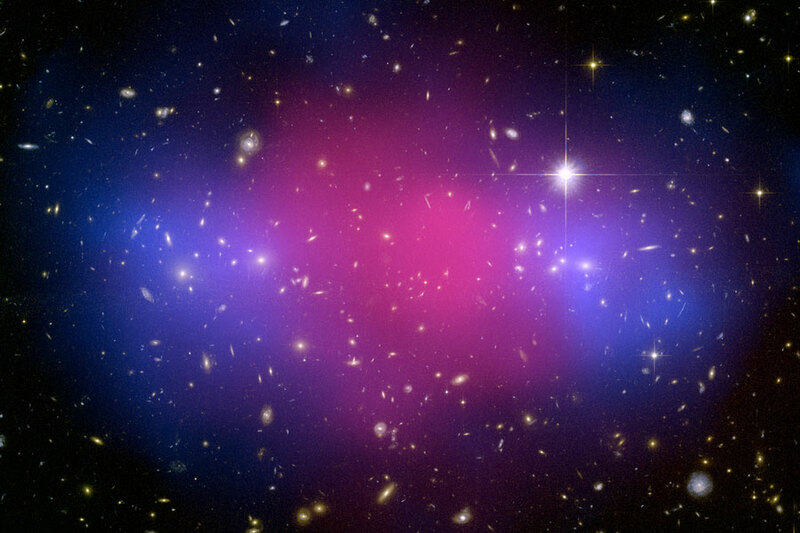 No one was quite sure, but the answer is giving clues to the nature of mysterious dark matter. In the case of MACSJ0025.4-1222, two huge clusters of galaxies have been found slowly colliding over hundreds of millions of years, and the result has been imaged by both the Hubble Space Telescope in visible light and the Chandra Space Telescope in X-ray light. 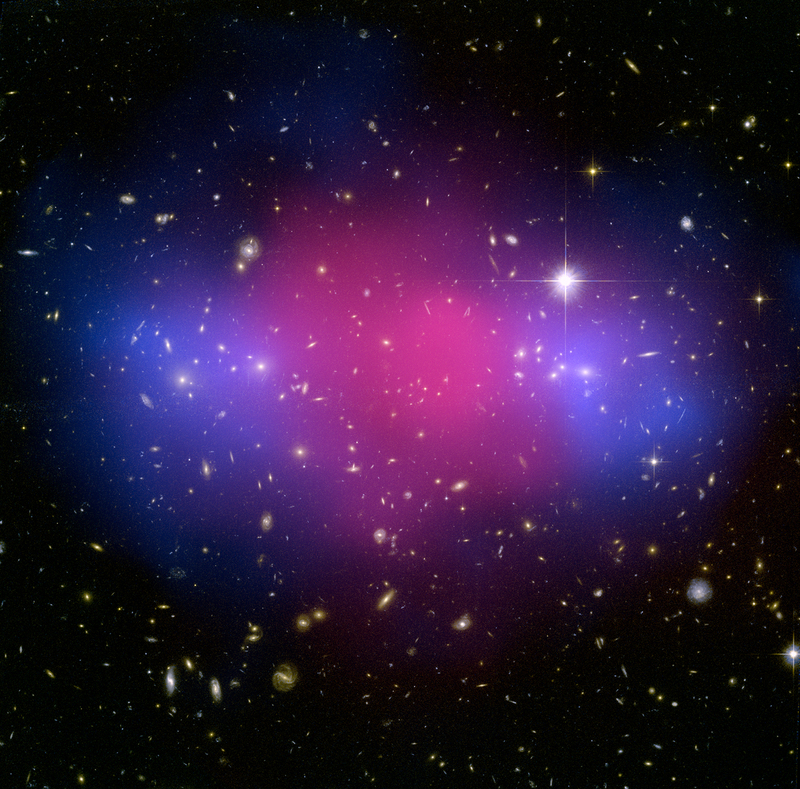 Once the above visible image was recorded, the location and gravitational lens distortions of more distant galaxies by the newly combined galaxy cluster allowed astronomers to computationally determine what happened to the clusters' dark matter. The result indicates that this huge collision has caused the dark matter in the clusters to become partly separated from the normal matter, confirming earlier speculation. In the above combined image, dark matter is shown as the diffuse purple hue, while a smoothed depiction of the X-ray hot normal matter is shown in pink. MACSJ0025 contains hundreds of galaxies, spans about three million light years, and lies nearly six billion light years away (redshift 0.59) toward the constellation of Monster Whale (Cetus).